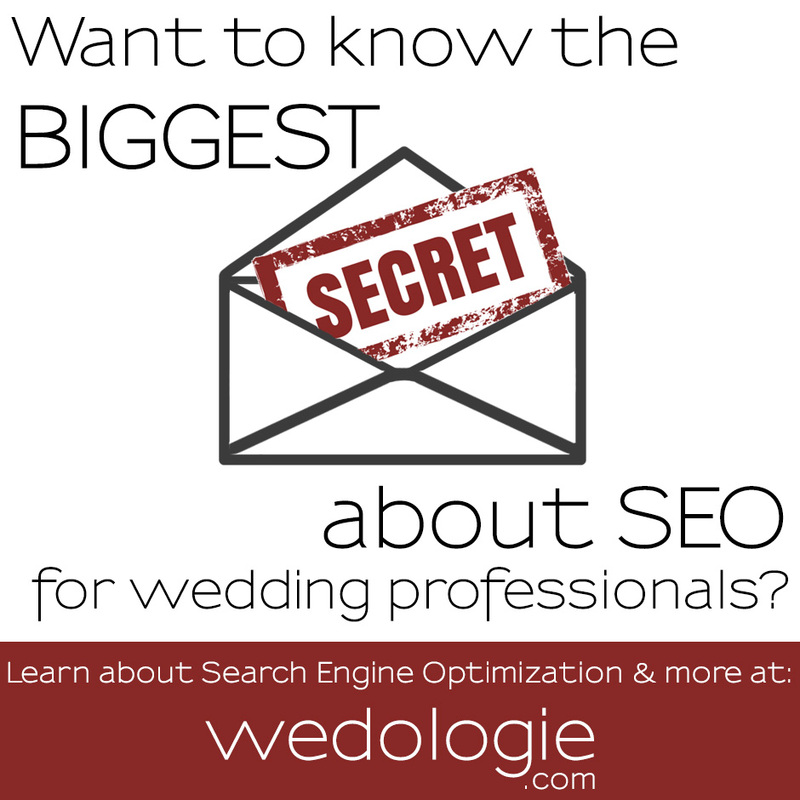 The BIG SECRET about Search Engine Optimization (SEO) for Wedding Professionals is…. Hardly anyone is doing it. Quite simply, no one is doing the work. That’s it, big secret revealed… But before you feel ripped off by the title let me tell you why this matters…. I am gatherings statistics from my own efforts to teach a SEO for Wedding Professionals (and small business) course soon. I have a screen shot of my “image search” that shows I dominated the results with 14 out of 50 images for the term “Philadelphia Headshot,” which means I have rough 30% of the results in image searches (and I’m also on “page one of Google” – the Holy Grail of SEO). But then I thought, wow… I probably haven’t undated the SEO on the page I was referencing in about 3 weeks. So I went and did the same search just now, expecting to see fewer results – nope, now there were 16 images. My SEO results actually improved. So what does that mean? And how could my results improve if I too, hadn’t done the work??? I had not actively worked on my SEO for about 3 weeks, and I actually had more images showing up. That means that my competitors, who are vying for that same search term, hadn’t done any work in MORE than 3 weeks. Their efforts are “timing out” before mine (and yes, I have since updated my page & SEO, so my results will improve even more). So, being the one who learns how to “do the work” and then actually “does the work” shall reap the rewards – high search engine results, more inquiries, more bookings, more money – and here is the other secret: It isn’t that hard. If you can update your site, you can do this.